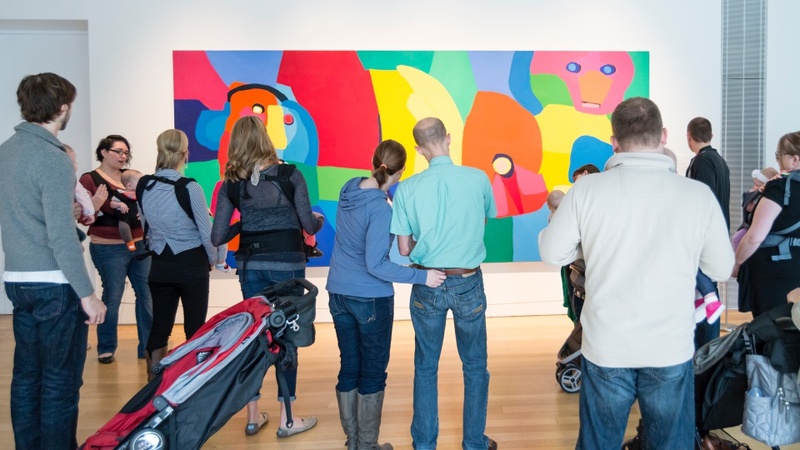 Moms, dads, caregivers, and grandparents are invited to join us for an interactive tour and discussion, this month inspired by one of the museum’s newest exhibitions, Dylan Miner: Water is Sacred // Trees are Relatives. With a docent guide, hear about Native American legends that relate to the artwork on view, and then you will explore other artwork in the permanent collection that are inspired by a legend, myth, or story. Expect a special kind of outing where no one minds if baby lends their opinion with a coo or a cry!